Thursday: stray leftover shower possible, partial afternoon clearing possible, west winds of mainly 10 to 20 mph, afternoon highs mainly in the lower 60s. Thursday night: a quick passing shower possible in otherwise variably cloudy skies, west winds of mainly 5 to 15 mph, overnight lows mainly in the lower 40s. Friday, Saturday, Sunday, and Monday: mainly sunny and dry skies, light and variable winds, daily highs growing to the 60s and eventually 70s. 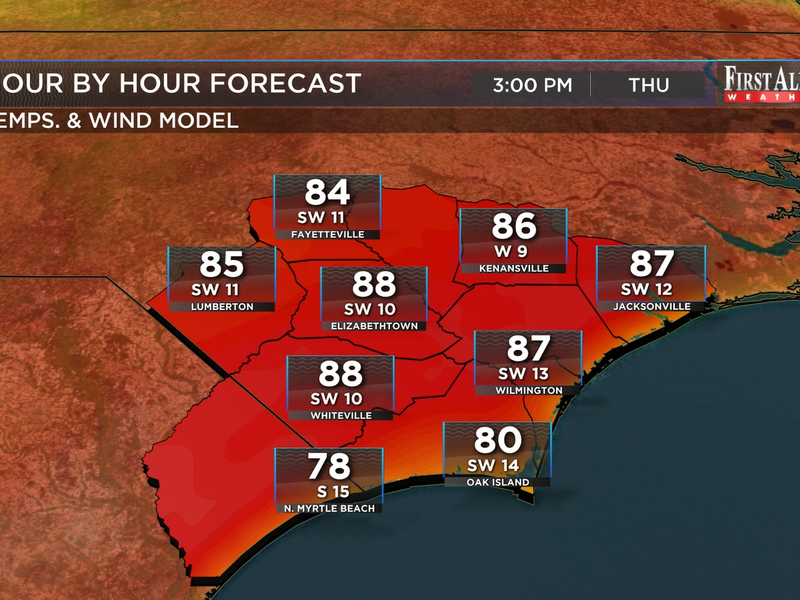 As you catch your full planning forecast here or anytime, on your terms, on your WECT Weather App, you’ll note renewed rain chances for next Tuesday and Wednesday. 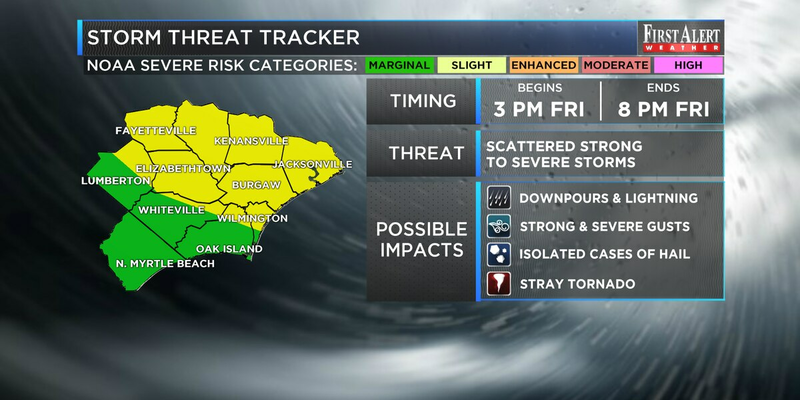 Your First Alert Weather Team will keep you posted! Meantime, have a great day! 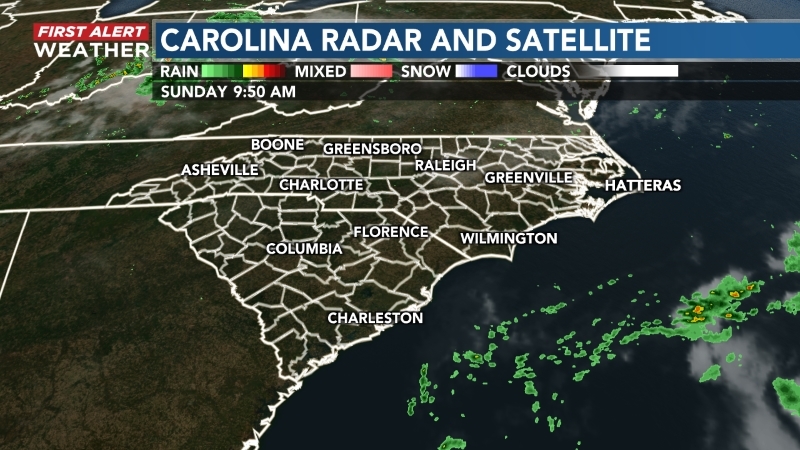 An approaching cold front will author an unsettled Friday in the Cape Fear Region. 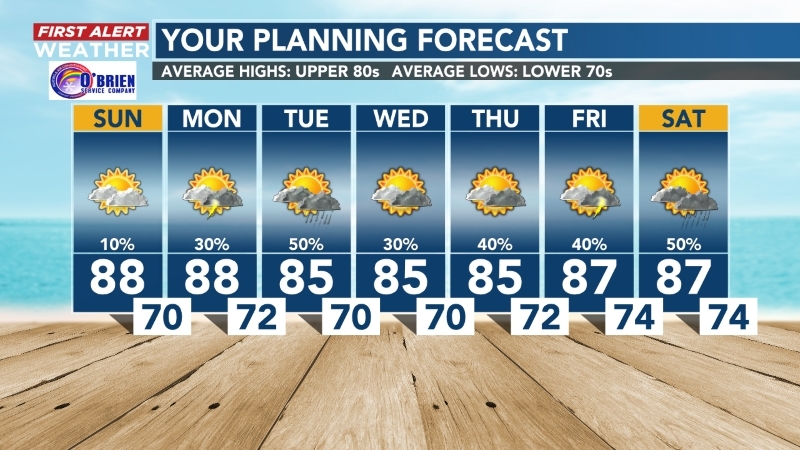 Enjoy plenty of sunshine over the next several days... however, there will be one quick shot for showers and storms Friday.